Does anybody have a clear picture of the Scooby Dum that was up on Gemini? I can only find 1 picture and can't quite read what the box number says. 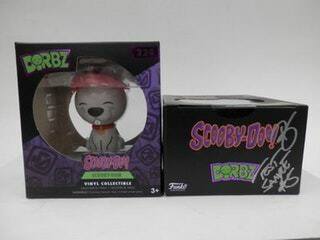 Re: Scooby Dum Box Number? I am pretty sure a99kitten was able to nab one. Hopefully she can provide a pic? clashcityrocker33 wrote: I am pretty sure a99kitten was able to nab one. Hopefully she can provide a pic? Ahh nice! That would be perfect.